Unending weather change in Georgia has a drastic effect on Roswell roof leak repair. Snow can cause the roof to have holes and be prone to leak. Changes in weather add the causes of deterioration of every roofing system. Roof designs in Roswell nowadays are engineered to inevitable weather circulation. A top-grade roof can last for years and can be prolonged if maintained. Roswell roofs designs can stand for decades even for a lifetime. A decent roof is a strong shield from the heat of the sun, strong wind and storm. Frequent inspection intervals will avoid roof leak to the house interior. The water leak can be prevented by simple things like putting sealant where necessary. Never forget to consult the experts especially if you are not sure of the roof installation and repair procedures. The flat roofing system is the typical commercial roofing. It has a relatively flat slope, unlike steeply sloped residential roofing. 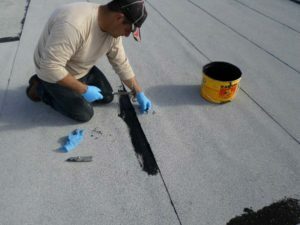 Some of the commercial roof types are TPO, PVC, EPDM, metal, modified bitumen and built-up asphalt and gravel roofing. Commercial roofing Roswell company like Duffy Roofing and Restoration is expert in all roofing matters. This company is approved and has passed the HomeAdvisor screening process. The pre-screening is consists of Criminal Record Search, Identity Verification, Legal Search, etc. Plus, the former clients have given them an overall best rating. They have been highly referred to the quality of work and excellent workers. Their services spread out all over Georgia state. You can count on Duffy roofers for your every commercial and residential roofing necessities. 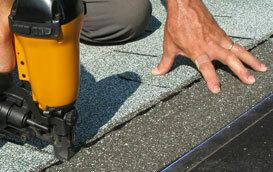 Picking the trustworthy roofers will help a lot in roofing improvement. The Duffy Roofing and Restoration is one of the most excellent Roswell commercial roofing companies. They achieved over 20,000 roof installations and repairs across Georgia. Their staff makes sure customers are well-informed about the proposal. You will have a progress update from the project manager from beginning to end of the roof development. They are excellent in repair and replacement as well as the cleanups. The service made sure to meet all expectations.